A design breakthrough by engineers at the University of Southampton could transform the difficult and dangerous work of deep-sea divers on oil and gas platforms. A team led by Dr Suleiman Abu-Sharkh is developing a powerful, compact and efficient underwater electric thruster, which can replace the inefficient and less reliable hydraulic thruster systems that are currently used on remotely-operated unmanned underwater vehicles (ROVs). The sensorless, brushless electric motor is fully integrated within the body of the thruster so it can work down to ocean depths of 3,000 metres, far beyond the capability of any human diver. ROVs can be used to inspect, repair and maintain oil and gas platforms as well as monitoring the environment in harsh conditions such as the deep ocean or ice cap. These vehicles were also used in the movie "Titanic" to explore the wreck of the sunken liner. Ten years of research at the University of Southampton in developing the thruster have been funded by the Engineering and Physical Sciences Research Council and a number of industrial sponsors including Subsea7. This is a joint venture between US energy company Halliburton, which owns and operates many of the world's ROVs, and DSND, a long-established Norwegian shipping company. Dr Abu-Sharkh said: "This is a multi-disciplinary project. Both the electric motor and the propeller characteristics must be matched to achieve good efficiency. Electrical engineers and ship scientists need to work together to get the design right." Commercial production of the thruster was licensed by TSL Technology Ltd, and the first commercial units will be available in a few months, ready for trials on a new generation of all-electric ROVs. A range of thruster sizes will be produced. Motor efficiencies exceeding 90 per cent were achieved, compared to less than 50 per cent efficiency of current hydraulic thruster systems. 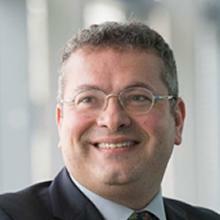 Suleiman Sharkh is Professor of Power Electronics Machines and Drives within Engineering and the Physical Sciences at the University of Southampton.